Control valves are an important part of SOMAS valve program because they come in handy in just about any field. For example, pulp and paper production, sugar, engine applications or the mining industry. Most of our valves can be utilized as control valves. Ball segment valves work well for this purpose because of the one-piece design of the ball segment and valve shaft. Butterfly valves are also very suitable as control valves. Ball valves are less common in control applications because of its flow characteristics compared to a ball segment or butterfly valve. It does however offer advantages in certain specific cases. The valve has a bi-directional seat and a low resistance when opened fully, as such it can be used as a control valve if needed. One of the most central aspects of any control valve is the connection between the valve shaft and an actuator. SOMAS actuators come equipped with a patented friction coupling that eliminates the risk of any delay in comunication between the shaft and actuator. 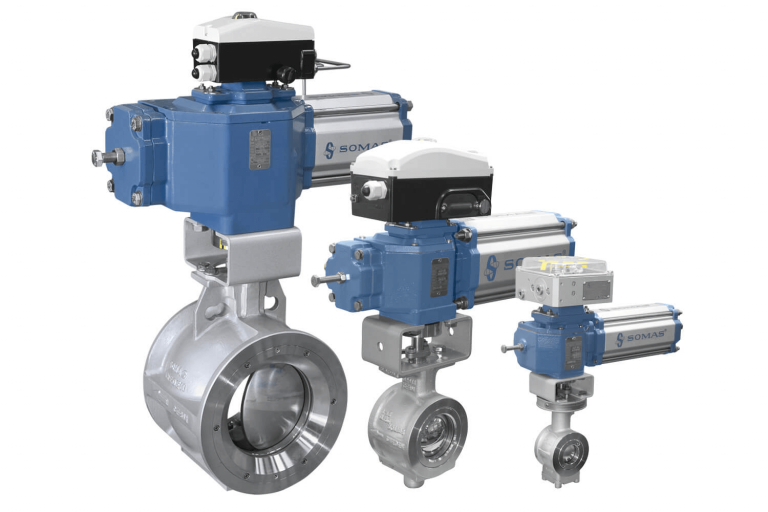 SOMAS valves, actuators and positioners have all the required traits for a great control valve. Good control characteristics and the torque transmission are free of delays. Below you will find general information about all of our valves that can be used for control applications. 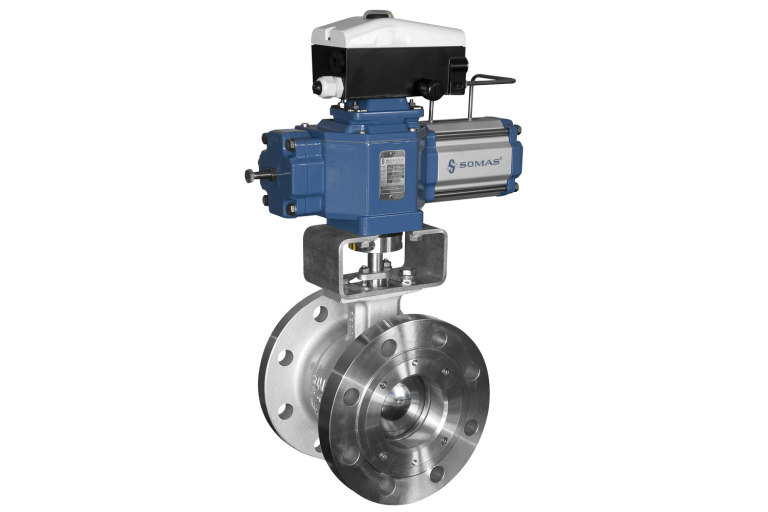 Control valves offer exactly what the name implies, control. The list of different fields in which a reliable way to control anything from flow, levels, pressure, temperature or concentration is virtually endless. If you are curious about other more specific examples of where our control valves can be of use. Contact SOMAS or any of our distributors for more information.